WARSAW — A 2017 incident where a sledgehammer was used to bust open a vending machine has resulted in consecutive one-year suspended jail sentences for a Fort Wayne woman. 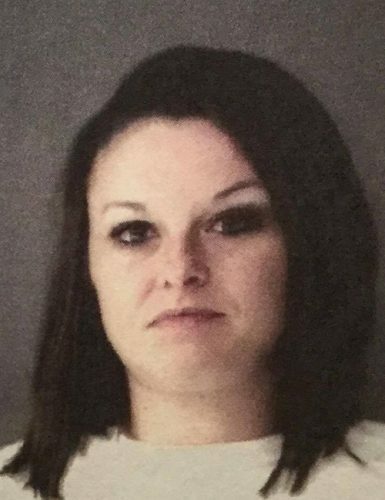 Jenna Niblick was arrested by local police along with Charles Pettigrew in July 2017 in connection by the vandalism of a vending machine at Zale Drugs in Warsaw. When stopped by police in Winona Lake, the two were in possession of a sledgehammer, which police said was used to break open the vending machine. The police also found methamphetamine and syringes in the vehicle. In Circuit Court Monday, Feb. 5, Niblick received one-year sentences, both suspended, for possession of methamphetamine, a level six felony and misdemeanor theft. Judge Michael Reed gave Niblick 298 days of jail time credit and ordered her to serve her suspended jail time on probation, where she will participate in All Things New, a local rehabilitation program. All Things New Founder Bill Fawley told Reed that he was willing to give Niblick a chance in the program, despite her failure to complete the process previously. “The last time, she essentially overdosed on Benadryl,” said Fawley. Niblick was sentenced on two charges from an original five counts, courtesy of a plea agreement that included a recommendation that she be given another chance at All Things New. Niblick was told by Reed, with confirmation from Fawley, that if she was again unsuccessful in All Things New, she would be in violation of probation and the suspension of her sentence would be revoked.